And I felt like a louse. If I haven’t mentioned it before, I am on a countdown. I’m on on the short list. I see light at the end of the tunnel (and it better not be a train). Yep, retirement is in sight. So, after a whirlwind flight to Houston so I could ride back with The Hubs (who had been down there working for two weeks), a horrendously hot morning weeding the garden (which turned into a Hellishly hot day), and the start of school looming, I sent The Hubs to the store for Italian sausage for an easy pasta dinner. I had made Rosemary Lemonade before but hadn’t ever really thought about the combo of rosemary and limes. I did a quick search and found that there are numerous versions out there in blog-o-land. Some had to set overnight in the fridge to meld. That wouldn’t work here. 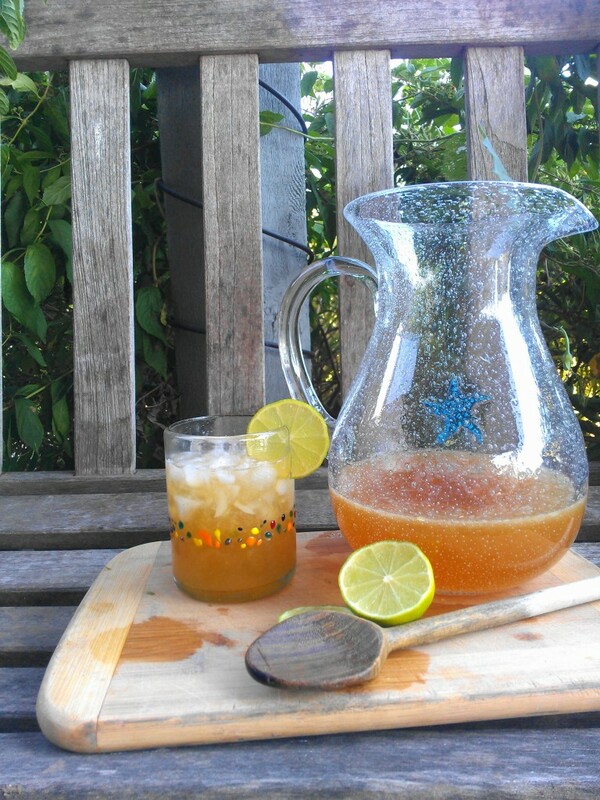 I merged and morphed a couple of recipes together for this limeade with a kick. Based on Sparkling Rosemary Limeade from the Kitchn and Baja-Style Limeade from the Food Network. Place water, agave nectar, lime zest and rosemary in a small sauce pan. Bring to a boil, stirring often. Remove from heat and let steep for 10 minutes. Strain into a heatproof vessel like a glass liquid measuring cup. Let cool. After mixture is cool, place rosemary-agave syrup in a serving pitcher. Add lime juice, club soda, vodka and triple sec. Taste and adjust sweetness level with a bit more agave if needed. Serve over crushed ice with a lime wheel. Notice the hue of the finished product. It is a bit tawny colored. All I had in the house was a really dark agave nectar. Since the original version, I have made this again with honey and tequila. I don’t know which I like the best. Cheers! 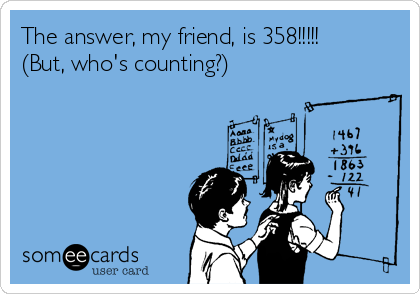 Here’s to the 2015-16 school year! You have a good man 🙂 Great countdown – jealous!! Now you’re talkin’ missy! I love this cocktail recipe! YUM! Also – enjoy the heck out of this countdown – before you know it, it will be over. So refreshing! Would love one right now! The cocktail would be a fantastic way to make it all better though. Good with your countdown! Retirement is the best!!! 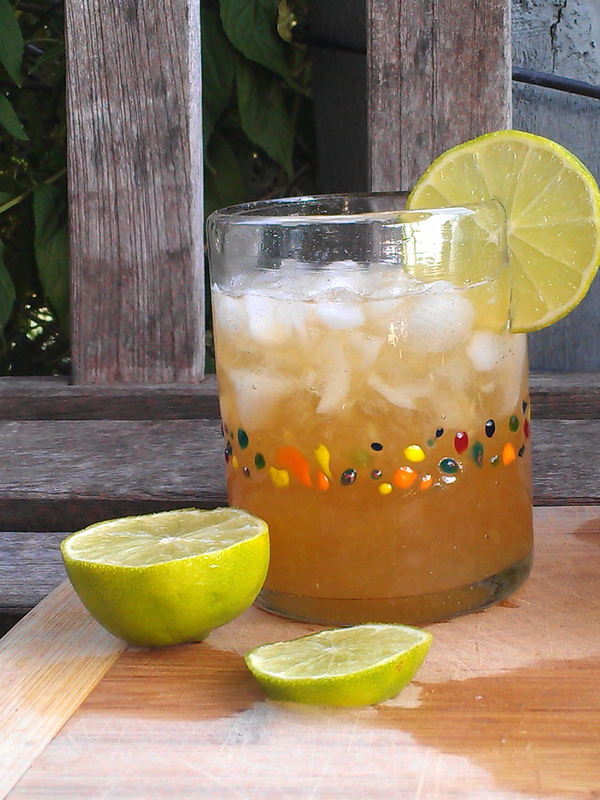 Your limeade definitely has a great kick, good cocktail! Countdown to retirement! How exciting! I retired once, way too early and have been working part-time ever since. However…my current contract ends next August so I’m going to be right there with you in full retirement. I hope. 🙂 Hope your last days on the job are stress free and happy! I’m sure you were happy thinking about it after having a couple of these adult drinks. 🙂 Rosemary and alcohol…I need to try that! Congratulation on that inch towards retirement! I have a couple years to go, but it’s in sight. Love this cocktail! So pretty and refreshing. Pinned.